PRESIDENT Rodrigo Duterte vowed Friday to acquire more brand new military equipment, including 12 more fighter jets. Duterte told the soldiers from the 102nd Infantry Brigade in Ipil, Zamboanga Sibugay, that his administration would not accept second hand equipment. "Kung buhayin pa ako ng Panginoon Diyos, you will have about 24 jet planes. Mag-acquire pa ako ng 12. Subukan ko. You have the best equipment, ‘yung --- ang sources natin sa baril ninyo is just two nations. I will not mention the names," he said. "During my time, wala na akong second-hand mga barko, barko. It has to be brand new. Hindi na ako tatanggap ng mga equipment ng military na second-hand. Iyong ibinibigay ng Amerikano, ayaw ko na ‘yan. Even I have to spend double the money," the President added. Duterte also expressed confidence that the government would win on its fight against the Islamic State-inspired Maute Group in Marawi City. "Dito naman sa extremism, mananalo tayo. But we will have losses, ganon lang talaga ang buhay. That is how life is governed in this universe. You would never know when," he said. He said it has been taking long for the government forces to finally defeat the terrorists because of the civilians who could be affected. "But no we are a government and we are bound by rules and even treaties, ‘yung mga Geneva Convention. That’s their favorite sanctuary. They also refer the Geneva Convention ‘pag pabor nila. ‘Pag nadehado sila, wala silang ingay sa Geneva Convention. And that is always the problem because the government can never ignore treaties and the laws of the land," he said. "Kung terorista lang din tayo, madali na natapos ‘yan. Bombahan mo lang lahat, tapos na isang araw. 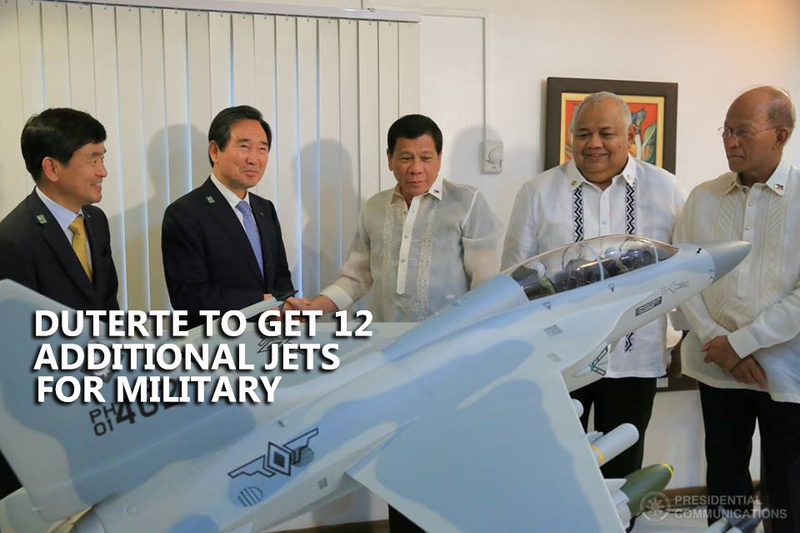 Eh marami na akong jet planes ngayon, sampu na ‘yan," Duterte added. The military has been conducting offensive operations against the Maute members since May 23 when the militants attacked Marawi. Defense Secretary Delfin Lorenzana said earlier the military could completely clear Marawi of terrorists by June 2. But in a news briefing on Friday, Brigadier General Restituto Padilla, military spokesman, said that it was not possible anymore. "It was a deadline that was set forth and provided by the Secretary of National Defense so we can aim for it. But the final decision actually rests on the ground commander. And based on the report that we’re getting I don’t think we can meet that deadline today to completely --- I’d like to qualify that --- to completely free Marawi of every single armed element in every street," he said.